Steve Conover: Welcome to the Friends of Israel Today. I'm Steve Conover and with me is our host and teacher, Chris Katulka. Last week, we started a two-week series on righteous gentiles, gentiles who helped save Jewish people from the Holocaust. This week, Chris welcomes Doctor Susanna Kokkonen, and she's the director of the Christian Friends of Yad Vashem, which is a unique program at the Israel Holocaust Museum in Jerusalem. She'll be joining us to discuss the importance of educating the church about the Holocaust. Chris Katulka: Yeah, I think this is such an important topic as we talk about righteous gentiles. These are people who risked their lives to save Jewish people during the Holocaust. Remember, since many in the church turned a blind eye to the atrocities of Hitler's plan. Also, later in the program, I'm going to share with you a story. It's a story from the Bible of a gentile who blessed the Jewish people even though he was commissioned to curse them. Chris Katulka: But first, let's take a look at some news that's happening in Israel. Steve Conover: Chris, Egypt's head of intelligence visited Tel Aviv to finalize details of a reported truce agreement. This was between Israel and Hamas after weeks of border clashes, of violent exchanges at the Gaza Strip. The meeting included plans to quell the fighting and to open up humanitarian projects in Gaza. This was in order to help the beleaguered Palestinians who suffered under Hamas's rule. Chris Katulka: Steve, I think you said it right there at the very end. It's Palestinians who are suffering Hamas's rule. You know, I think it's a noble effort that Israel would invite Egypt, its real first peace partner, to broker a truce with Hamas and Gaza. However, let me say this, I am reluctant to believe this is going to create any lasting peace. You know, Hamas has a reputation for breaking agreements and they have a reputation for using humanitarian aid to fund terrorism. The real beginnings of peace won't be possible until Hamas is removed from power once and for all. Chris Katulka: Friends, it's a joy to have Doctor Susanna Kokkonen on the program with me today. Susanna is the director of the Christian Friends of Yad Vashem, which was established in October of 2006 in cooperation with the International Christian Embassy in Jerusalem to really raise awareness about the Holocaust and the universal lessons that the Christian community can garner from the Holocaust. Today, the Christian Friends of Yad Vashem is active in several countries around the world and work with a variety of denominations and Christian ministries to build bridges between the Jewish people and the Christian community. Chris Katulka: Susanna, great to have you on the program today. Susanna Kokkonen: Thank you so much and shalom. Chris Katulka: Shalom. Susanna, just for our listeners' sake, I know you travel a lot, but I'm assuming we're getting ahold of you in Jerusalem, is that right? Susanna Kokkonen: Yes, I'm sitting here at Yad Vashem. We are located in the Mount of Remembrance in Jerusalem and the Christian Friends of Yad Vashem actually is program here at Yad Vashem, so we have our offices right here. Chris Katulka: So, for our listeners who have never been to Jerusalem, have never been to Israel, or are unfamiliar with the phrase "yad vashem," Yad Vashem is the memorial, the Holocaust memorial in Jerusalem. Isn't that right, Susanna? Susanna Kokkonen: We call it the World Holocaust Remembrance Center because we have active educational programs going on. So, we do commemorate and remember the Holocaust, but we also bring a lot of educators and people here to study. The name comes from the Book of Isaiah, Isaiah 56, verse five. "To them, I will give within my walls and my house a memorial and a name." So, "yad" means memorial, and "shem" means name. And that is what is the name of the place, so it comes from the book of Isaiah. Chris Katulka: Susanna, for the past couple of weeks now ... Actually, this is our second week ... we've been going through this series where we've been remembering the righteous gentiles who helped the Jewish people during the Holocaust. We talked about Corrie ten Boom last week and one of our very own workers at the Friends of Israel, a woman named Halina who ministered with the Friends of Israel and really stood up against the evils of the Nazi regime. We wanted to bring you on, Susanna, 'cause of your expertise as a Christian with the Friends of Yad Vashem. Can you share a little bit about the work of the Christian Friends of Yad Vashem? Susanna Kokkonen: Yes, thank you. So, the Christian Friends of Yad Vashem really is about building bridges between Jews and Christians, and these bridges are built around the topic that is actually the most painful part in that relationship. The Holocaust essentially was the abandonment of the Jews of Europe into the hands of the Nazis. Most of the people were either silent bystanders, looking away, avoiding to see things the way they were, avoiding to have to take action. So, we educate about Christian anti-Semitism. We educate about the Holocaust itself. But we actually want to bring pastors and leaders here on the campus, have them come to special week-long seminar, and when they leave, they have the facts and they'll be able to educate their congregations. Susanna Kokkonen: We believe that it's easier for people to understand the State of Israel today. Actually, it's impossible to understand the State of Israel today if you don't understand what happened in the Holocaust. So, the work is very practical. We meet visitors, we do special programs for them here on campus. I've traveled to a lot of countries and spoken about these topics, but there's also a spiritual part of it that it's like holy work. This place is the only graveyard that many of those people who perished as nameless victims in mass graves in Europe, this is the only place where their families can come and think about them and give us their names. We give them back their human dignity. So, the Christian part, it's a small part of all the work that Yad Vashem does, but it's a very important part because we need people who are leading today, we need them to understand what's happened and the choices that people had to make and how that would [inaudible 00:06:38] the past, but it's everything that is happening in the world today that is somehow connected. Chris Katulka: That's right. Susanna, as I'm chatting with you, I'm thinking I know you're not Jewish, but I do know that you're a believer in the Lord Jesus. Can you share with us how the Lord brought you to the place where you are? Susanna Kokkonen: So, I was actually born in Finland, so I'm a Scandinavian and I have been living here in Israel about 20 years. My grandmother, like many Finnish Christians, was a great supporter of the State of Israel, so from a very early age, I knew about the State of Israel. I knew about Jewish history and I understood the the prophecies are connected to the State and that somehow, I have to be connected to it to. Susanna Kokkonen: So, actually, I had a scholarship. I came to Jerusalem to the Hebrew University in 1998 to do my doctorate, and then after that, this department was only opened in 2006. So, I'm the second director. So, I was brought into this work in 2008. So, God has orchestrated my steps. I could never have imagined when I came here that I would stay so long. I couldn't have imagined doing the work that I have been doing now for the past 10 years. Chris Katulka: Susanna, we only have a few more moments left, but we're living more than a generation away from the Holocaust and I guess the question that kind of keeps sticking in my mind is this. There isn't a Holocaust happening now, but how can Christians help the Jewish community? How can we take those life lessons, the spiritual lessons, from those righteous gentiles of the past? Those righteous gentiles that stood up, the few that stood up. A lot of people turned a blind eye, but a few actually said, "No, we're going to make a difference. We're going to save Jewish people." How do we take those life lessons and infuse them into the church today? Susanna Kokkonen: One thing that need to really to be educated. We need to understand what is going on in the world around us, and the sad thing is that if you look at the world 70 years after the end of World War II, you see that the anti-Semitism is rising and you see that it's the kind of violent hatred that we thought would never again exist after the Holocaust. So, we need to stand up against that hatred and we need to, of course, to stand with the local Jewish communities, make them feel secure and safe wherever they are. But much of the hatred is actually today targeting the Jewish state, so we also need to stand with the Jewish state and I think we need to talk to our pastors, we need to get them to come to Israel to visit the country. There are so many different ways of practically supporting Israel and even small ways. Susanna Kokkonen: And then, of course, we need to pray. I would want to connect that with the issue of the persecution of Christians that is going on in the Middle East and some other parts of the world, that we also need to stand for our brothers who are suffering. So, we are standing for the Jewish state and we are also standing for the persecuted Christians. Chris Katulka: So, what you're saying is number one, go to Israel, learn about what's going on in Israel, embrace what's happening, also, at Yad Vashem, and you're also saying pray for the peace of Jerusalem, pray for the people of Israel, pray for the Jewish people around the world. This is a way ... And also, Susanna, you said something amazing: education. We're seeing a lack of education about the Holocaust around the world, not just here in the United States, but all around the world and we need to be ... Susanna, you are on the front lines of educating the church about what happened in the Holocaust. We're so thankful for you, Susanna, and the work that you're doing to bring that forward. Chris Katulka: Listen, Susanna said something amazing. Go to Israel. Can I tell you something? The Friends of Israel goes to Israel twice a year and all I can think is this. If your pastor has never been to Israel, I want to encourage you, go to your church and say, "How can we get our pastor to Israel? How can we get him there?" The Friends of Israel would be happy to bring anybody's pastor over to Israel or anybody who's interested in learning more about Israel, the Jewish people. We go to Yad Vashem every year, as well. Every time that we go, and so Susanna, we're thankful for you. How can people get in contact with what you're doing with Christian Friends of Yad Vashem? Susanna Kokkonen: Well, you could send us an email. It's Christian.Friends@YadVashem.org.il or you could just join our Facebook group, Christian Friends of Yad Vashem by typing that in your Facebook search box. We'll approve your application, and that way you get into the group and you will see what is happening here in Israel. Chris Katulka: That is fantastic. Dr. Susanna Kokkonen, director of Christian Friends of Yad Vashem, thank you so much for joining us today. Susanna Kokkonen: Thank you. Thank you. Shalom. Steve Conover: In 1939, the Nazis took control of Poland. A young Polish woman named Halina was faced with the decision to fall in line with the Nazi agenda or stand against evil. Chris Katulka: In the book, "Halina: Faith in the Fire," Doctor Elwood McQuaid writes of Halina Ostik's commitment to believing in the triumph of her cause regardless of personal cost. The essence of this book tells the story of an amazing individual who walks through the fires of Hitler's genocidal rampage and survives. In this book, those who resist evil had names that are really obscure to most of us here in the West, yet their courage is contagious and it leaves a legacy of hope for us today. Chris Katulka: It was great chatting with Doctor Susanna Kokkonen to hear about the work Christian Friends of Yad Vashem is doing to help the Jewish people today, to pray for them, and to really educate the church globally about what happened in the Holocaust. You know, there were only a few bold Christians in Europe who stood up against Hitler, risking their lives for the Jewish people and we need to make sure that this never happens again. We need to make sure that the stories of these bold people are shared and communicated so that we remember what happened just 70 years ago. As we've been talking about righteous gentiles, those who stood up against Hitler's evil plan to eradicate all of the Jewish people, I'm reminded of gentiles in the Bible who chose to bless Israel as persecution against them was mounting. The one story that really stands out the most to me, especially in the Old Testament, is the story of Balaam, a gentile who was a divinator, who was commissioned to curse Israel, but every time he opened his mouth, he would bless them. In the book of Numbers, the Israelites were moving up the west side of the Jordan River on their way to Canaan, the Promised Land. Word had gotten out among the various nations that a group of people left Egypt and they were powerful and extremely large. As word got to Balak, the king of Moab, that Israel had made a pit stop in his neck of the woods. Now, let me remind you. When God called Abraham back in Genesis 12:1-3, He said to Abraham, "I will bless those who bless you and curse those who curse you." Well, King Balak looked to hire Balaam to curse Israel and listen what he says in Numbers, chapter 22, verse six. "So, now please come, Balaam, and curse this nation for me. For they are too powerful for me. Perhaps I will prevail, so that we may conquer them and drive them out of the land." Listen to what Balak says here to Balaam. "For I know that whoever you bless is blessed, and whoever you curse is cursed." Did you hear how Balak is playing on Genesis 12:3? Balak thinks Balaam is the one with the power to bless and curse. Well, Balak is in for a rude awakening, because when he originally encourages Balaam to come and curse Israel, Balaam receives a word from the Lord that said, "Israel is blessed, so don't curse them." So, at first, Balaam denies Balak's request, but eventually Balaam does go and every time he opens his mouth to curse Israel, he shouts out a blessing. The first time Balak sets up Balaam to curse Israel, Balaam says this: "How can I curse one whom God has not cursed? Or how can I denounce one whom the Lord has not denounced?" That was the first thing out of Balaam's mouth when he sees Israel and is called to curse them. "How can I curse a people who are blessed?" Balak, who is hiring Balaam to curse Israel is just in utter shock. So, he takes Balaam to another area. He wants to show Israel ... "Maybe if I show Israel from another angle, Balaam will be able to curse them." But then again, as Balaam is looking out over Israel once again and he receives another oracle about Israel, instead of cursing them, he utters this: "Indeed, I have received a command to bless. He has blessed, and I cannot reverse it. He has not look on iniquity in Jacob, nor has He seen trouble in Israel. The Lord their God is with them." Balak tries one more time with Balaam, and you can see Balak is getting more and more angry every time he repositions Balaam to prophecy against Israel, to curse Israel. But again, Balaam just can't help himself. He says, "How beautiful are your tents, O Jacob, and your dwelling place, O Israel." Then Balaam prophesies without any prompting that a king would be born among the Israelites who would crush their enemies. You know, we've been talking about righteous gentiles over the past two weeks, non-Jewish people who stood up against evil and evil that was seeking to destroy the Jewish people. I love how Balaam, a gentile who stood looking out over all of Israel, who was literally paid to curse Israel, listened to the Lord and blessed them instead of cursing them. It's because Balaam said to Balak, I love this, when Balak was literally looking at Balaam and going, "Why do you keep blessing them when I've hired you to curse them?" Balaam responds to King Balak and says this: "You can pay me all the money in the world that you want, but I will not be able to go beyond the Word of the Lord." You know, the same can be said of us. The Word of the Lord still stands today as a guide for blessing Israel. Susanna Kokkonen said the hatred of the Jewish people is on the rise, that anti-Semitism is alive and well, even in areas where the Holocaust happened only 70 years ago. As a non-Jewish person, let me ask you something. Will you stand up like Balaam and say, "I will not go beyond the Word of the Lord, I will bless Israel and the Jewish people"? You know, what a great reminder from the Scriptures today that God has been using gentiles for millennia to bless His chosen people. Let this be a reminder for us that as we think about standing up against anti-Semitism, the hatred of Jewish people, as we think about blessing Israel and the Jewish people, the command that God had back in Genesis 12:3, "I will bless those who bless thee, and curse those who curse thee," let that be a reminder that that promise still stands today for us, the church. Steve Conover: Now, "Apples of Gold," a dramatic reading from the life and ministry of Holocaust survivor Zvi Kalisher. Mike Kellogg: Most of the world is against God's chosen people, Israel. This nation occupies a very small piece of land, yet it is the subject of more news reports than any other nation. Jealousy fuels this animosity. Throughout the Bible, God tells Israel not to fear. As the Lord protected us from Pharaoh in Egypt, so He will protect us from our present-day enemies. Now, we are in a situation similar to when Pharaoh chased the Israelites to the Red Sea. We're surrounded by Arab nations whose favorite slogan is, "Butcher the Jews! Cast them into the sea!" But we must never repay them with hatred. We must show them the love of Christ. Often, I have the opportunity to speak with my Arab neighbors, just as with the ultra-Orthodox Jews, we sometimes speak for many hours before we get around to the most important subject of all, faith in Christ. When I speak with Arabs, I must first draw them away from the blind hatred of Jewish people, and then we begin to speak about faith in Christ. They're usually interested in continuing our dialogue about Christ. Recently, my neighbors had with them a sheik, one who knows the Qur'an. I spoke with him and he began by asking, "Where does the Torah say this land belongs to the Jews?" Quickly, I showed him Genesis 13, verses 14-17, Genesis 15:8, and Exodus 23:31 where the Lord promised the land of Israel to Abraham and his descendants forever. The sheik immediately said, "Oh, that cannot be. The Qur'an says it is not so." I replied, "Ask your teachers when the Bible was written and when the Qur'an was written. They will have to tell you honestly the Bible was written first. It is the authentic Word of God." He asked, "How can you, a Jew, speak about Christ?" I replied, "I believe because Christ is written about in the Jewish Scriptures. As a good Jew, I must believe what is written there. I believe in the One who was pierced for our transgressions, as it is written in Isaiah 53:5." By this time, more of my Arab neighbors had joined the group and they seemed interested in what I was saying. I told them, "Perhaps one day, all of Arabs and Israelis will be able to come together and speak as we are doing now." As it is written in Isaiah 11:6, "One day, the wolf also shall dwell with the lamb, the leopard shall lie down with the young goat, the calf and the young lion and the fatling together, and a little child shall lead them." But this prophecy can only be fulfilled once we all believe in Christ, the only One who can enable people to put aside their differences and hatred, and love and serve one another through Him. Jesus commanded, "Go into all the world and preach the gospel to every creature." I pray we will soon see a great harvest among the Arabs, as well as among the Jewish people here in His Holy Land. Steve Conover: I want to thank Doctor Susanna Kokkonen again for joining us. You'll find her contact information in the show notes for today's program. 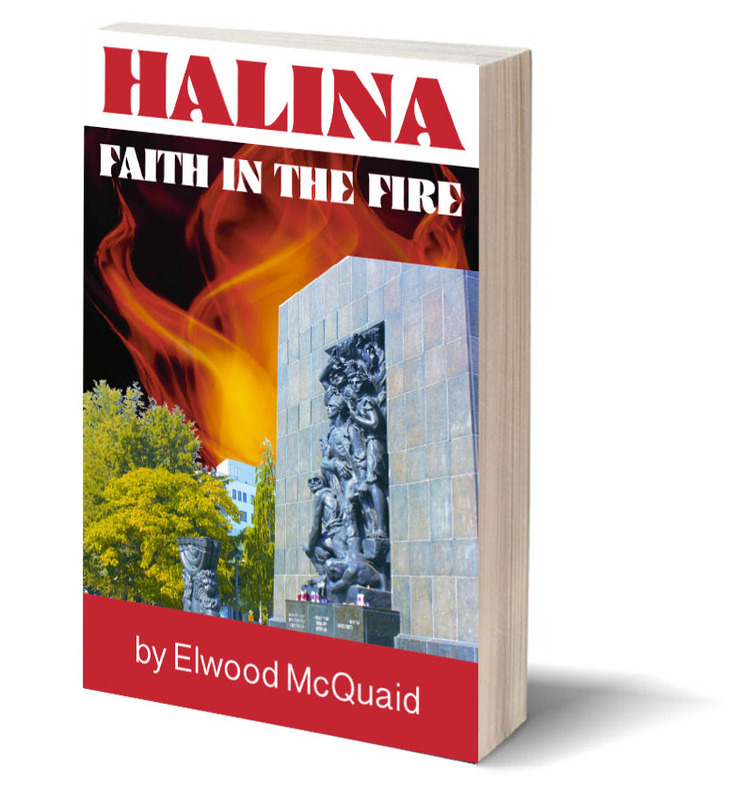 Also, I want to remind you to purchase a copy of "Halina: Faith in the Fire." Go to FOIRadio.org or call our listener line any time day or night at 888-343-6940. We'll give you that contact information again in just a moment. Finally, be sure to join us next week. Meno Kalisher, pastor of Jerusalem Assembly, will be our guest. The Friends of Israel Gospel Ministry has been sharing the love of the Messiah and supporting Israel and the Jewish people since 1938. To financially support the Friends of Israel Today radio ministry, visit FOIRadio.org. That's FOIRadio.org. You can call our listener line at 888-343-6940. Again, that's 888-343-6940. Or you can write to us at FOI Radio, P.O. Box 914, Bellmawr, New Jersey, 08099. Let us know where you're listening when you call or write. Our host and teacher is Chris Katulka. Today's program was produced by Tom Gallione, co-written by Sarah Fern. Mike Kellogg read "Apples of Gold." Our theme music was composed and performed by Jeremy Strong, and I'm Steve Conover, executive producer. The Friends of Israel Today is a production of the Friends of Israel Gospel Ministry. We are a worldwide Christian ministry communicating biblical truth about Israel and the Messiah while fostering solidarity with the Jewish people. We’ve been focusing on “Righteous Gentiles.” Those are gentiles who stood up in different ways during the Holocaust and saved Jewish people’s lives. Last week we talked about two courageous women, Corrie ten Boom and The Friends of Israel Gospel Ministry’s own, Halina Ostik. If you missed that episode we encourage you to go back and listen. You’ll be amazed at how God used ordinary people to do courageous work. This week we welcome Dr. Susanna Kokkonen, the director of Christian Friends of Yad Vashem. Chris talks with Dr. Kokkonen about the very important work she and her team are doing with Yad Vashem, the world’s Holocaust remembrance center in Jerusalem. The impact that Christians can have with educating our brothers and sisters in Christ on Israel and the Jewish people is very dear to her heart just as it is to ours here at The Friends of Israel Gospel Ministry. You can learn more about this great organization HERE. In our second segment we head to the Old Testament to find a great example of a gentile blessing the Jewish people. It may not be who you would think: Balaam, from Numbers 22. There we learn how King Balak, the Moab king, tried to curse Israel through Balaam, but God had other plans! Zvi explains the complicated relationship between Arabs and the Jewish people surrounding Israel. He always tries to treat his Arab neighbors with love and kindness. Once he can get past many of their biases, he then tries to share the love of the Messiah with them from the Scriptures. Listen and find out how he shared his faith with one very important man in the Arab neighborhood.